Our Hot Melt Adhesives for Filter Manufacturing are designed to bond many components and materials including – Films, Foams, Papers and Plastics and our adhesives can be Custom Formulated for Strong, Fast setting-Permanent bonding applications; or Temporary/Removable adhesive applications. Our Filter Assembly adhesives are designed for use on most Filter Manufacturing and Assembly equipment and are made to bond to most substrates like fiberglass, nylon, plastics, rubber, foam and difficult to bond coated paper substrates. In the Air filter manufacturing industry, there are many applications where hot melt adhesives are used. Hot melt adhesives are resistant to high and low temperatures and offer fast set times and so they are widely used in the manufacture of air filters. Hot melt adhesives with fast set times are often the best choice when manufacturing air filters; because of the fast-running filter machines. Hot melt seals the filter frames, laminates the filter media and carefully closes the separators. EVA Hot Melt and APAO based hot melt adhesives that are Flexible in cold temperatures, are good options for this application, these adhesives shows excellent bond strength and machining characteristics. Polyamide based and Polyester-based (PET) hot melt adhesives are also used for air filters in industrial or car ventilation systems that have to withstand high temperatures. These hot melts are highly chemical- and heat-resistant – and offer strong adhesion to papers and non-woven fabrics. Depending on the application – Hot Melt Bead – Hot Melt Roll Coating or Hot Melt Spray application can be used. During the spray application process, the hot melt is mixed with air for full-surface adhesive application. Slot Die coating and Roll Coating can also be used for a full-surface application of the hot melt adhesive. 7-M-378 is a solvent-free, hot melt adhesive that is designed to permanently bond mini-pleats on air filter assembly applications. It is formulated to run well at faster line speeds. 3,100cps at 325F, Fast Set. 7-M-227 is a high quality hot melt adhesive. It provides a strong, long lasting bonds to difficult substrates. It is designed for the bonding of metal to filter media. 700cps at 350F, Medium Set. 7-M-256 is a high quality heat reactive hot melt adhesive. It provides a strong, long lasting bonds after being heat reactivated. It is designed for the framing of the air filters. 4,500cps at 325F, Slow Set. 7-M-265 is a high quality heat reactive hot melt adhesive. It provides a strong, long lasting bonds after being heat reactivated. It is designed for the framing of the air filters. 3,500cps at 325F, Slow Set. 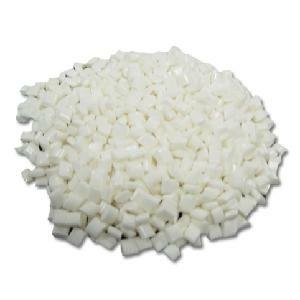 7-M-271 is a high quality hot melt adhesive. It provides a strong, long lasting bond. It is designed a a pleat separator hot melt. 1000cps at 325F, Fast Set. 7-M-244 is commonly used for bonding metal to filter media. strong bonds to difficult substrates. 1100cps at 350F, Slow Set. 7-M-347 is specialty hot melt designed as a very Fast Setting Frame Hot Melt. 1200cps at 350F, Fast Set. 7-M-355 is a hot melt designed for assembling of Furnace Filters, the product has High Heat Resistance and is applied using a Roll Coater. 1500cps at 325F, Medium Set. UL Approved Hot Melts For Automotive Filter and HVAC Filter Manuafacturing: UL # MH28876. UL approved adhesives for Insulation and HVAC applications. Automotive Grade Hot Melts for Filter Industry. Formulated to meet GM Specification 998 5676. UL Approved Hot Melt for Acoustical Panels & Soundproofing. Fire retardant hot melt for Filter Manufacturing. Filter Media Lamination – Liquid and Hot melt Systems. Laminating – Hot Melt for Filter Assembly. PUR – Hot Melt Polyurethane Reactive Adhesives. Foam to foam Filter bonding. Foam to fabric Filter bonding. Filters – Air, Water and Oil Filter Assembly. Pressure Sensitive Hot Melts for Filter Manufacturing. Hot Melt adhesives for Filter Assembly. Laminating – Liquid Systems, Paper. PUR – One Component Liquid Reactive Polyurethane Adhesive. Contact adhesives & Filter Fabricating adhesives. Cold & Hot Press Laminating adhesives for: Filter Manufacturing and Filter Assembly. Textile adhesives for Filter Industry. Specialized Product Assembly | Pur for Filter Industry. Specialized Product Assembly | Polyamide for Filter Industry. Specialized Product Assembly | Air Filter Pleating.